Thousands of offshore fish are being killed in the northeast Gulf of Mexico, and Florida wildlife officials are saying that red tide is the problem. The Florida Fish and Wildlife Conservation Commission (FWC) has said that citizens from the area have reported thousands of dead fish, including groupers, hogfish, and even sea turtles. The reef fish are apparently dying from red tide, the FWC recently discovered. 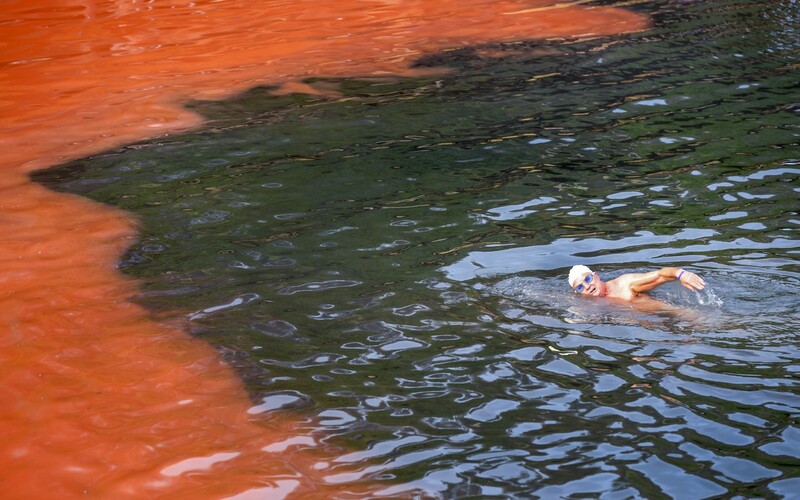 Red tide, which is also known as an algal bloom, is when algae accumulates very quickly in the water. It results in a reddish-brown color on the surface of the water, where it gets its name ‘red tide.’ These can be very deadly to marine life, as they sometimes release natural toxins or deplete areas of water of oxygen. The FWC found an 80-mile long, 50-mile-wide region of red tide offshore of Dixie and Pasco counties. The discovery was made using satellite images. After viewing the images, the FWC collected samples of the water, as well as samples from some of the dead marine life. After testing them, they confirmed that the deaths were indeed caused by the red tide organism Karenia brevis, which is the naturally occurring marine algae that causes red tide in the Gulf of Mexico. Although it sounds a little frightening, the FWC has said not to worry, as this has been happening in the Gulf of Mexico for hundreds of years. Snooty the manatee celebrated his 66th birthday!